The most common questions I get asked is Xero vs Quickbooks! Below is a list of 5 key point when comparing online business software and my summary of each. BUT Lets get one thing straight! If your not on a cloud based accounting program for your business you are already failing! I will also clear up I am a partner with both and assisted in helping hundreds of business with both packages. Why chose a cloud-based software? Shared with all your important stakeholders! Xero – Ever tried to phone xero? Good on you if you actually found their phone number, not something they are willing to give out. And if you do email support they reply with the “Help link” that you have probably already tried to navigate your way around! Don’t get me wrong the fact that they don’t have the ability to help business owners easily means that clients call me for help and assistance (YAY for me $$$$) but from a business owners perspective what do you get for your monthly subscription? On a positive they do respond quickly to the emails. Quickbooks Online – As an advisor or a business owner you have a dedicated phone number for support. (And yes it is answered in this country), and majority of the time they are able to help you with great bookkeeping knowledge. Another advantage is that you don’t need to be a partner to access help videos or training events – a bonus for small business owners trying to learn it themselves. Xero has over 500 apps in their marketplace. If there is an add on out their you can be guaranteed that Xero is compatible. Quickbooks online has under half of this at 224. 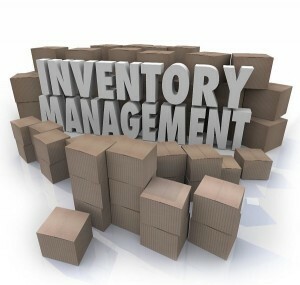 3 – Inventory – we have a clear winner!! Maybe a reason that Quickbooks online has half the apps is that it has double the features of Xero? One of those is that of inventory. In short anyone that phones me and wants to track inventory I will not work with them in XERO. Xero does have an inventory function but it is very limited – if you buy in a box and sell box and only that box with no variations – great use xero. 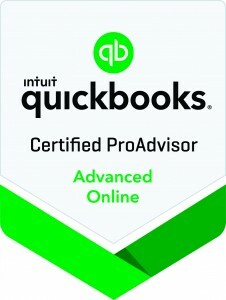 For anything else Quickbooks online is the program for you. A winner for me is the ‘Bundle’ option. It allows you to sell your products by grouping them into a package and then selling it with a discounted amount. I love this feature…stay tuned I am going to do a complete blog on this feature soon. Quickbooks was the winner up until about a month or two ago when Xero had a major overhaul of their reporting features and I must say they are pretty close! But if you want a definitive response to who’s reporting Xero Vs Quickbooks online has the most beneficial features for small business I would go Quickbooks online. If you ask the same questions from an accounting perspective it would be Xero! The ability to drill down in the reports with unlimited customisations is a real winner for me. If we are looking at job costing you can select it just for that job. Xero you are able to do this also but there is a lot more time needed to get the same desired result. As a bookkeeping providing my clients with monthly or quarterly reporting packs the ability to have automatic emails or reports sent to clients on my preferred day is a real winner! A downfall of QBO reporting is that you can not add payroll reports to your customisations, there are lots of payroll reports available you just don’t have the ability to have these as your ‘favourites’. Reporting is so important to business, to find out more check out one of our blogs on Business Reporting. Xero Vs Quickbooks online price comparison! Remembering with both of these they will have discounts and promotions and your bookkeeping partner can help you with this. Quickbooks online is half the cost. Whilst Xero is the most expensive, when comparing the two for your business I think you need to make that decision on product offerings suiting to your business. In summary when comparing Xero vs Quickbooks Online they both have similar functions I cannot justify such a large difference in price which is accompanied by reduced support.